David Baddiel became a cabaret stand-up comedian after leaving university and also wrote sketches and jokes for various radio series. His first television appearance came in a bit-part on one episode of the showbiz satire, Filthy, Rich and Catflap. In 1988, he was introduced to Rob Newman, a comic impressionist, and the two formed a writing partnership. They were subsequently paired up with the partnership of Steve Punt and Hugh Dennis for a new topical comedy show for BBC Radio 1 called The Mary Whitehouse Experience, and its success led to a transfer to television. Baddiel then took in a lodger at his London apartment – fellow comedian Frank Skinner and asked Skinner to co-present when he was offered the chance to do a programme based on the fantasy football craze. The show was Fantasy Football League, and later they took an improvised question-and-answer show to the Edinburgh Festival which then became a television show, Baddiel and Skinner Unplanned. 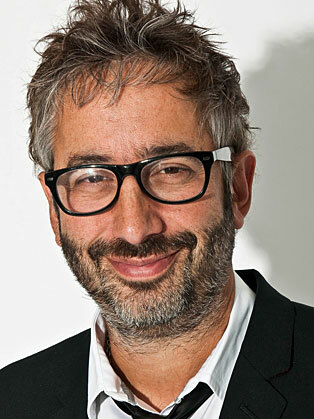 Aside from acting and writing, Baddiel has published four novels: Time for Bed (1996), Whatever Love Means (2002), The Secret Purposes (2006), and The Death of Eli Gold (2011). Baddiel is also a patron of the Campaign Against Living Miserably. He acted as a compere for the Stand Up to Stop Suicide event organized by Claire Anstey and the charity, and has appeared on radio advertisements publicising the issue of young male suicide.